Kellogg’s has exercised an option to acquire a stake in packaged food manufacturer Tolaram Africa Foods (TAF), a subsidiary of Tolaram Group, for $420 million, as the company seeks to expand its presence in the African market. Kellogg’s formed a joint venture agreement with Singapore-based Tolaram in 2015, which saw both companies take a 50% stake in distributor Multipro, and part of the deal stated that Kellogg had the option to acquire a stake in TAF in the future, which it has now exercised. TAF is one of the largest manufacturers and distributors of noodle products in both Ghana and Nigeria, and its products are distributed by Multipro. Both Kellogg’s and Tolaram also created the joint venture company Kellogg Tolaram Nigeria Limited (KTNL) in January 2016, which markets and distributes breakfast cereals and snacks in the West African market. Steve Cahillane, Kellogg’s chairman and chief executive officer, said: “Expansion in emerging markets is an important element of our growth strategy. 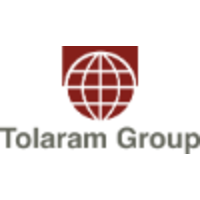 “Africa offers incredible growth opportunities, and our experience partnering with Tolaram over the past couple of years have confirmed that we have a strong relationship, attractive brands, local expertise, and a proven business model. Amit Banati, president of Kellogg Asia-Pacific added: “We have been delighted with our partnership with Tolaram. “Multipro is an unrivalled distributor in West Africa, with best-in-class logistics and consumer activation capabilities. “Our investment in TAF links us to a leading packaged foods company in that market, with key brand building capabilities and share leadership in the noodles category. “And our KTNL joint venture recently launched in Nigeria Kellogg cereals, which are locally produced and off to a strong start.